The Constitution requires that Congress “assemble” at least once a year. Under the 20th Amendment, Congress assembles on January 3, unless a different day is established by law. This begins a “session” of Congress, which lasts until it adjourns sine die or until the session expires automatically by the commencement of a new session in the next year. 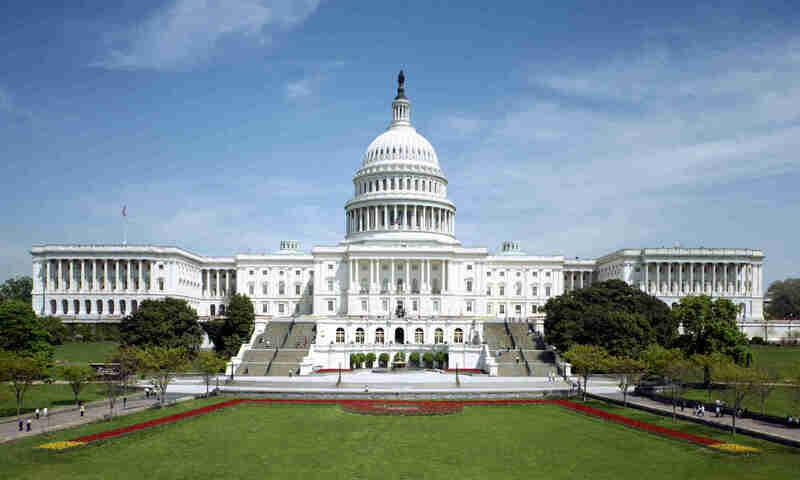 Normally Congress holds one session per year; thus, one would typically refer to a bill or report as having occurred in either the First or Second Session of a particular Congress (eg, 110th Congress, 2d Sess.). However, nothing prohibits holding more than one session per year, and on occasion there have been Congresses that have held more than two sessions (indeed, the first Congress held three sessions). According to the January 3, 2012 Congressional Daily Digest: “The Senate met in pro forma session to convene the second session of the 112th Congress at 12:01:32 p.m., and adjourned at 12:02:13 p.m. until 11 a.m., on Friday, January 6, 2012.” So after “assembling” for nearly a full second [Update: as an observant reader points out, that should be nearly a full minute- 41 seconds in fact], the Senate adjourned for 2 days, 22 hours, 59 minutes, and 57.87 seconds. (Hope you are taking notes- this could be on the exam). On January 4, President Obama made four appointments pursuant to the Recess Appointments Clause. Three of them were to the National Labor Relations Board (NLRB), and one was the director of the new Consumer Financial Protection Bureau (CFPB). Depending on whom you ask, these actions were clearly constitutional, clearly unconstitutional, or somewhere in between. Most commentators have focused on the question of whether the Senate was in “recess” at the time the appointments were made. Sometimes this question gets confused with whether the Senate was “adjourned” or “in session,” but these questions are more easily answered. The Senate was certainly adjourned on January 4 (then, again, the Senate is adjourned for at least part of virtually every day). Whether the Senate was “in session” depends on whether one is using this phrase as simply the converse of being adjourned (as it often colloquially used) or whether one is asking if January 4 was “during the Session of Congress” (the phrase used in Article I, section 5, cl. 4). If one means the former, the answer is no; if the latter, the answer is yes because the second session of the 112th Congress convened on January 3. Virginia Lieutenant Governor Bolling has issued this ruling on his power to break deadlocks in the Virginia Senate. In brief, Bolling concludes that his power to vote includes organizational matters such as determining rules of procedure and voting on officers. However, he also finds that he lacks the power to vote on final passage of certain matters, such as appropriations bills, tax bills and state constitutional amendments, for which the Virginia Constitution requires the vote of a “majority of the members elected to each house.” The Lieutenant Governor, Bolling reasons, is not an elected member of the Senate and therefore cannot break ties on a final vote on such matters.